For all of you who from abroad who keep contacting me and asking if Bar Patrol Inventory App will work in your country with your currency, I finally made a video to show you exactly how we do it so you can have powerful inventory software in your bar/restaurant at a price that’s easy to say yes to. But before you watch the video, let me say this: I started Bar Patrol in 2010 with the goal and sole purpose of performing full-service inventory audits for bars in my local area within 30 miles or so. And it was a worthy and effective goal because within 2 years I was servicing 10 bars, making a pretty good living and saving bars a ton of money. In 2012 I expanded my vision and hired a rockstar development team (after hiring and firing 4 development companies) to develop my own inventory app and online software that would be as powerful as 95% of the systems out there at a price that EVERY bar can afford, and so my goal and vision changed from helping local bars to helping any bar owner/manager in the United States who wanted to systemize their inventory at a fair price. 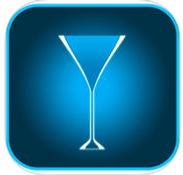 That too has been a success, as Bar Patrol Inventory App is now in 37 of the 50 states and bar owners and managers contact me every day via email and thank me for helping them improve their systems in their business, and I am humbly grateful for their success, because that’s what I’m in it for. For reasons I can’t explain, 2017 has now been marked as the year of expanding globally, and to be perfectly honest, this wasn’t a vision of mine yet. They simply started showing up at my doorstep, and that is too say, about 6 months ago I started receiving an influx of calls and email messages from Mexico and other countries in Central America, asking if they could get started with Bar Patrol App. That has been slowly expanding to other countries in Canada, Europe, Australia, China, Africa and beyond. I do not say any of this to brag, but as a proclamation of appreciation and thanks to every bar/restaurant owner and manager out there who I’ve developed a relationship with in helping them implement better ways to save time and money so they can focus on what’s important: taking care of the guests.